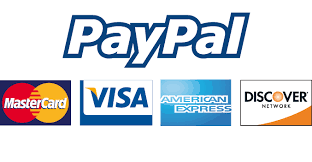 Hi there, we have great news to share today. A.F. 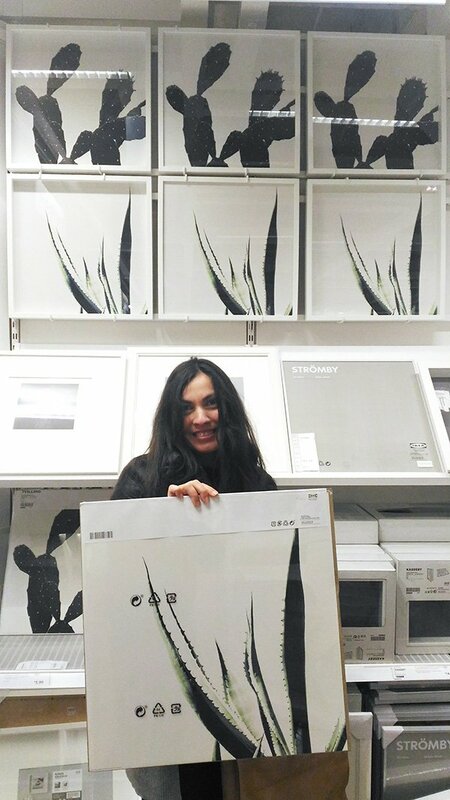 Duealberi agave plant poster has been chosen by Ikea as part of their 2017 home decor collection. 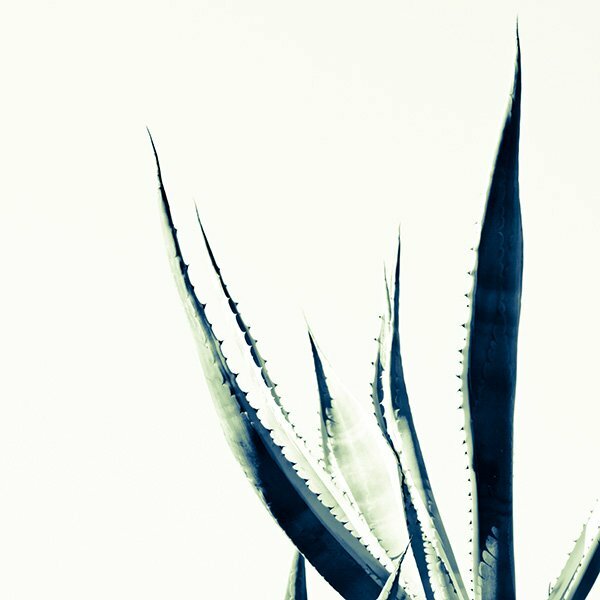 This large Agave Print is already in stock starting February 2017 in all IKEA stores worldwide. It is sold as “Tvilling Poster” decoration set in the 19,7 x 19,7 inches (50×50 cm) size, together with a fellow artist’s work Cassie Ballard with her Cactus Print. 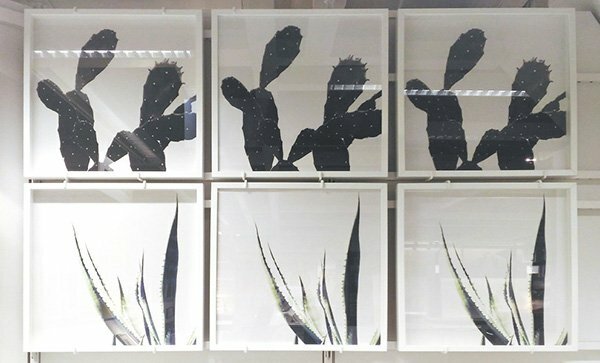 You may find this nature Cactus print set online and in every IKEA store worldwide this season. 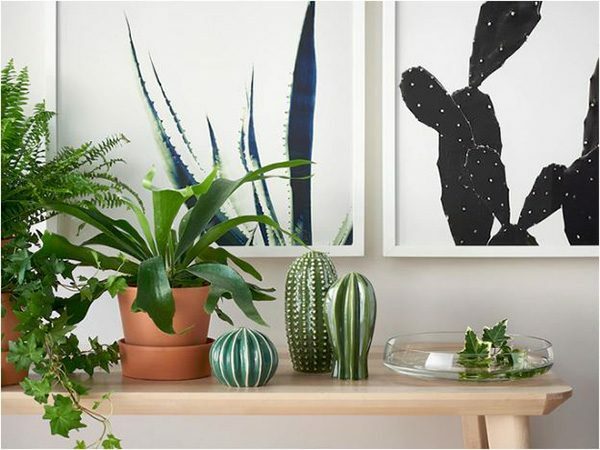 The Agave and Cactus Print perfectly fits IKEA Ribba frame and is a good addition to your home decoration, as this season the green wave of nature art prints and in particular leaf, succulent and cactus posters are on-trend. 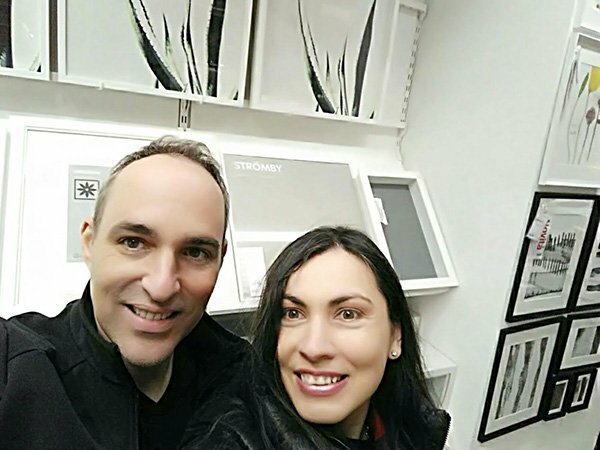 Yesterday we checked out the closest IKEA store here in Rome. The picture itself was taken here in Rome, this stunning city in the heart of Italy, full of Mediterranean trees and plants. The agave is a succulent plant that is quite typical for the central and southern part of Italy. We took some cell phone pictures inside the store of the modern nature poster and are happy to share them with you. The art print really looks beautiful in a simple white frame on the wall. IKEA has a range of frames that are suiutable for this size of square nature art print. You will also see here our smiling faces as one of our dreams has come true. We have always loved the minimalist and modern designs commissioned by IKEA and are very glad that our art made it to be present here. This art print size is pretty large and may perfectly fill a 4-5 feet empty wall. As many of our minimal nature prints, this one is not a plain black and white print but has a delicate greenish shade that happens to be very fashionable this year. Please visit also our modern hand signed nature art print collection, available in different sizes in our Black and White Prints Section. We are open to create custom sizes upon request and can print up to 60×40 inches (150 x 100 cm) which is quite an impressive huge size for a wall art. We ship internationally with tracking code all over the world, so you will have your art print delivered directly to your door with tracking code in just 5 working days. We work closely with interior designers and set decorators on custom interior design projects worldwide. You can get in touch if you are looking for modern wall decor, nature print sets and original abstract art. Follow us on facebook and instagram and subscribe to our newsletter to keep up with our new artwork. Did you know that A.F. Duealberi Modern Canvas Art from our original abstract paintings were featured by Warner Bros. for Hollywood Abstract Art Set Decor? Read more about it in one of our previous posts.